Meet the Gang, a female bartender collective, who shares a passion for craft cocktails and events. Our mission is to transform your event into a vibrant and dynamic one, by offering a drink menu adapted to your personal taste. 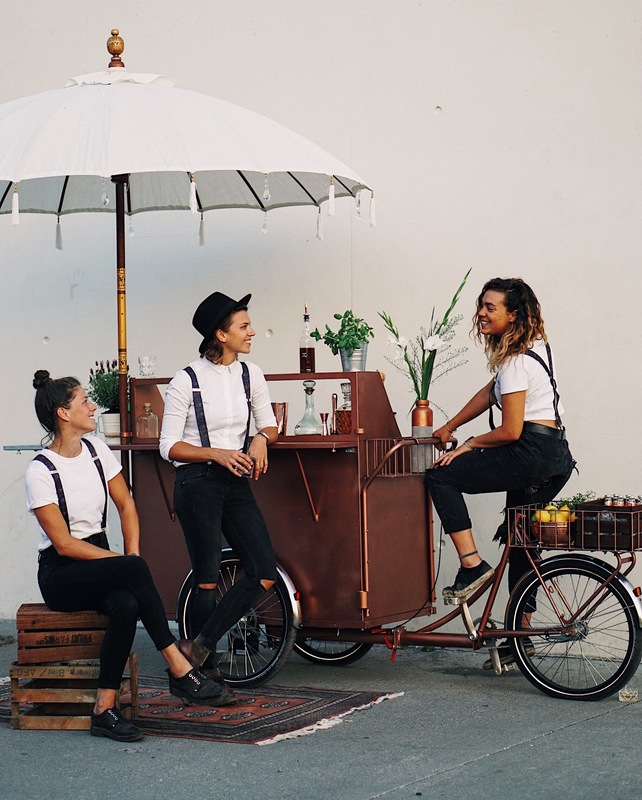 Whether you want us to provide a full-service barcatering, to hire us as bartenders or to exclusively have us develop individual cocktail recipes, Phoebe and the gang would love to be part of it. We are a small gang and we value personal approach: you will find the owners Vivian, Ine & Paulina not only behind their desks, but also behind the bar. Our philosophy is that each event is special. For every occasion, we develop an individual drink menu adapted to your personal taste – which will help to tell your story. So what can you book us for? 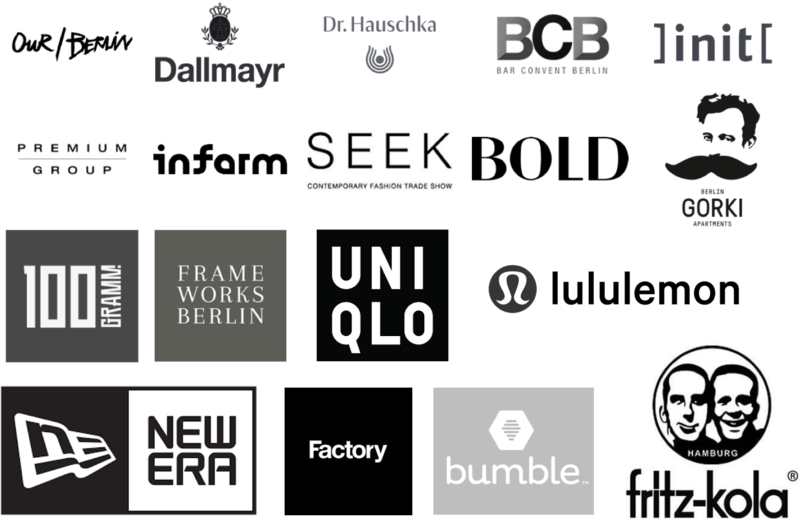 Furthermore, we’re looking forward to develop close relationships with agencies, brands and others who are like-minded. Let’s get to know each other! Whether you hire Phoebe and the Gang for a full-service bar catering or only as bartenders, we come with one passion. And that is, creating a drink menu tailored to your personal taste. 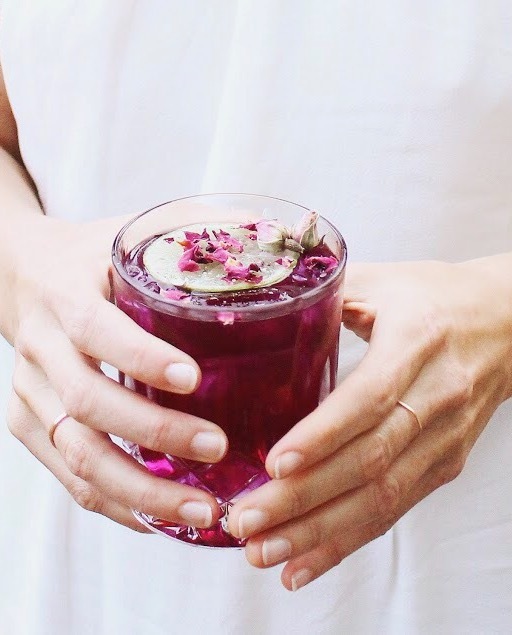 In order to do so, we have developed a style in which we like to include both alcoholic non-alcoholic cocktails, and characterized by using homemade syrups, infused spirits and fresh herbs. We always keep focus on our five most important values of mixology: simplicity, creativity, quality, seasonality and taste. 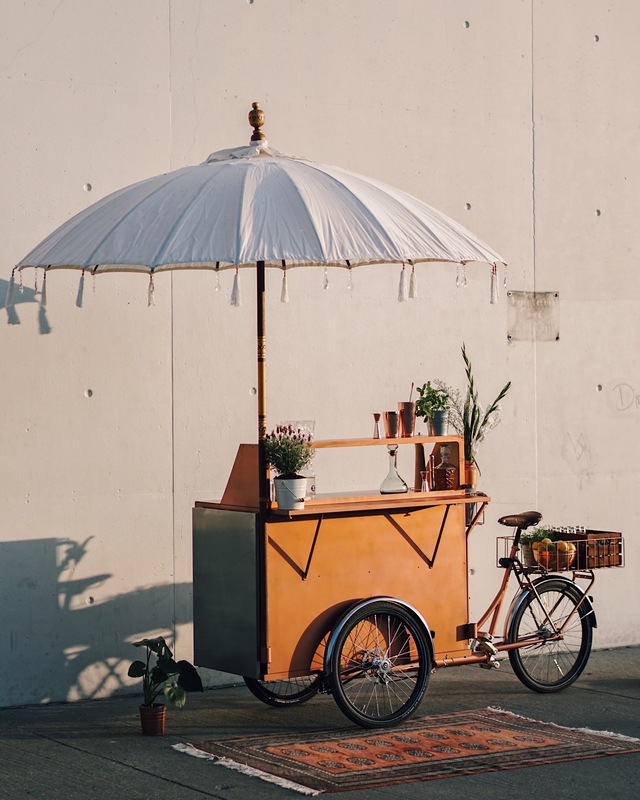 Meet Phoebe, a unique and charming handcrafted mobile bar bike, based in Berlin and ready to serve at your next event. Phoebe’s copper look is a guaranteed eyecatcher. From backyard cocktail parties to store opening events, Phoebe is ready to roll. She’ll provide you with a full-service bar catering, meaning our focus lies exclusively on your and your guests’ experience. 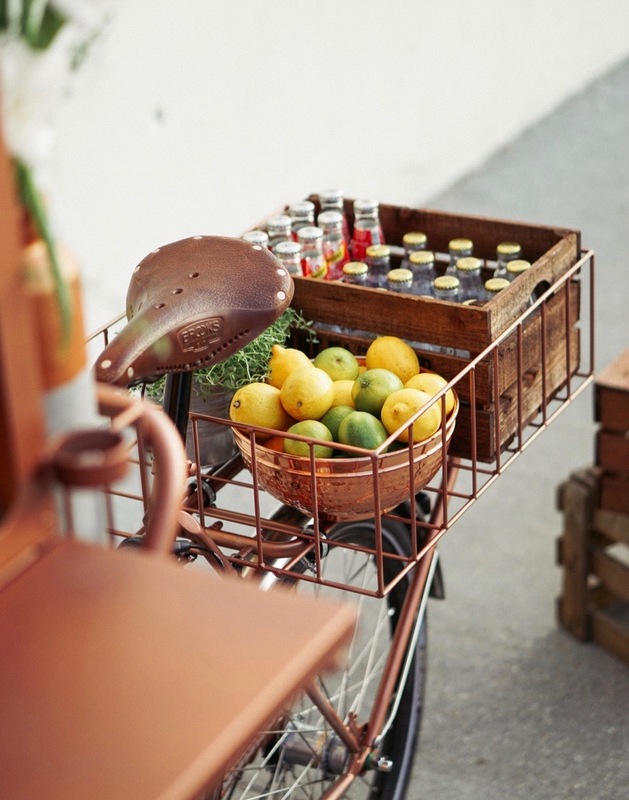 If our bar bike Phoebe doesn’t fit to your event, don’t worry. Just ask us for alternatives! We are a small, owner-managed company from Berlin. 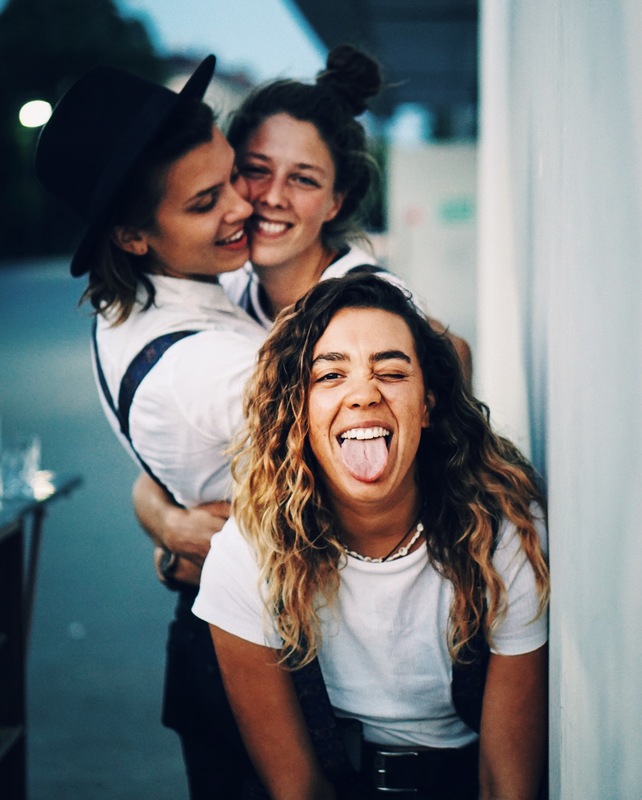 Three girls, who have turned their passion into a career: Vivi, the creative mixologist, Paulina, the skilled bartender and Ine, the food scientist. Our strength is our coherency and our mutual trust. Get in touch and let’s have a drink together. Meet Phoebe and the Gang!